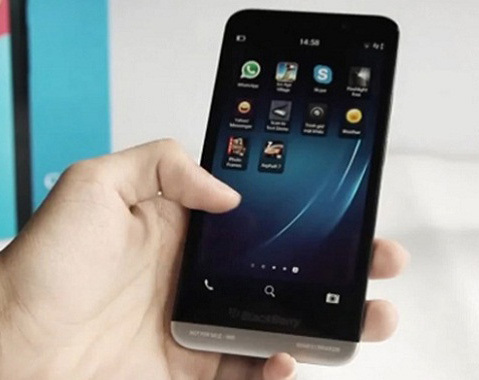 New Delhi: After Samsung and Apple, Canadian handset maker BlackBerry has jumped on the upgrade bandwagon, offering consumers a discount of Rs 5,000 on its BB10-powered 'Z30' in exchange for their old smartphones. Starting today, customers can now upgrade to Z30 for Rs 29,990 in exchange of an old working smartphone (a minimum cash back of Rs 5,000) under the upgrade offer valid for a limited period of 60 days, BlackBerry said. Samsung and Apple already have similar offers on their flagship Galaxy and iPhone ranges. Once a leader in the smartphone category, the Waterloo (Canada)-headquartered firm has witnessed a steady decline in market share, losing out to rivals Samsung, Apple and Nokia. In the past, BlackBerry has offered price cuts on its various handsets and tablet (PlayBook) but this is the first time that it is offering an exchange offer in India. Introduced in October 2013 at Rs 39,990, the Z30 features a 5-inch Super AMOLED display, 1.7 GHz processor with quad- core graphics, 2 GB RAM and internal memory of 16 GB (expandable up to to 64 GB). Based on its latest BB 10 operating system, the handset has an 8 MP rear camera, 2 MP front facing camera and 2,880 mAh battery. BlackBerry, as a part of 10th anniversary celebrations in India in March, had announced a limited 60 days offer for Z30 to be available at Rs 34,990. "We have seen a phenomenal response to our initial promotional offer on BlackBerry Z10 and are confident that we will see similar take off on the upgrade offer on Z30," BlackBerry India Director (Distribution) Sameer Bhatia said. Consumers are increasingly adopting smartphones with attractive price points, he added. Z30 offers a combination of latest technology and style quotient in a single device at a compelling price point, Bhatia said, adding that the offer will run across all BlackBerry retail networks. In March, BlackBerry had slashed the price of its Z10 handset by about 60 percent to Rs 17,990 in two steps and received a great response. India, the fastest growing smartphone market globally, is witnessing fierce competition with a slew of devices being launched at various price points to tap the multi-billion dollar opportunity here. According to IDC, smartphone sales in India grew almost three-fold to over 44 million in 2013, buoyed by affordable devices made by local firms like Micromax and Karbonn. In Q1 2014, 17.59 million smartphones were shipped in India compared with 6.14 million in the same period of 2013.